Why Certification Systems Aren’t Working and What We Can Do About It. The book Reinventing Green Building, by Jerry Yudelson, will be available about June 1st. It’s full of detailed statistical analysis of how green building in the US has hit the wall the past few years, commentary from two dozen industry leaders, and detailed recommendations on how to start growing the green building movement once again. Buildings and their associated systems are the largest source of greenhouse gases in the world. 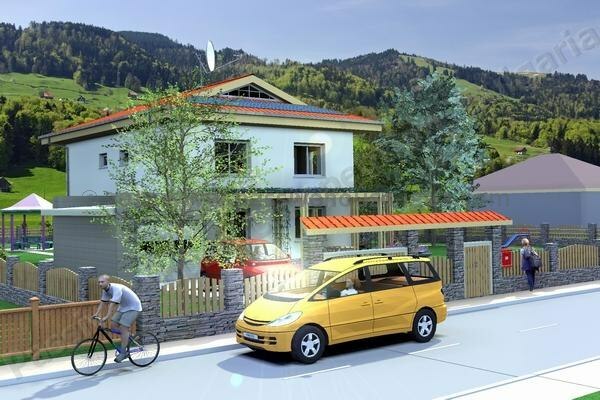 The 2030 Challenge aims to produce zero net -energy from new North American construction by 2030 while achieving a 50% reduction in carbon emissions from existing buildings. With less than 4% of commercial and residential structures in the U.S. and Canada certified by 2015, we seem destined to fall catastrophically short of this target. Creative, outside-the-box solutions using the Internet of Things, big data analytics and cloud-based technologies for building management. The green building revolution has failed to fulfill its promise to transform the marketplace in a meaningful way. Smart, simple, and sustainable: Reinventing Green Building presents a new approach to building certification, designed to radically cut costs while dramatically increasing marketplace acceptance integrating true climate mitigation and better building performance. Jerry Yudelson is the president of Yudelson Associates, green building consultants. He has trained over 3,000 people in the LEED green building rating system. 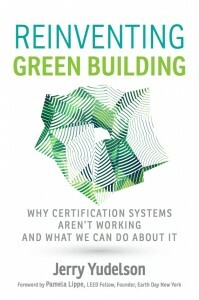 He chairs Greenbuild, the world’s largest green building conference, and has written six books on green building, including Green Building A to Z (New Society Publishers).